1. In your years of business have you seen the correlation between unemployment and mental health issues such as depression, or anxiety? I actually can speak from the heart here. 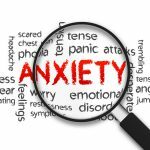 I once battled anxiety for 4 solid years after I was let go from a job in Los Angeles. I had relocated just a couple years prior and was trying to get my feet on the ground. As soon as we found our groove, my wife and I were laid-off during the 2008 collapse. I was determined to feel better. To not let myself feel bad for myself. To “get my stuff together” and clean up my act. No one was going to feel bad for me. No one was going to just give me a break without proving myself. I was determined to make something of myself. 2. In my paper I am researching something that is called the cycle of unemployment. Basically, the hopeless that involuntary unemployment can start a vicious cycle of rejection and hopelessness. Do you believe that a good outlook on unemployment can really impact the cycle of unemployment? Always stay positive. Positivity is key. If your outlook every day is one of fear and angst, then you’re letting them win. You’re letting the negatives win. You cannot start a day thinking weird thoughts and worrying about items outside of your control. Even some items within your control, but indirectly (i.e., paying bills). So, start a roadmap. Develop a game plan. I had been laid off before, but this one hit my subconscious. This one took the cake. I decided to go into my own business and 4 years later I have never been happier. 3. Are the debilitating effects of unemployment actually visible in the unemployed people that you see on a daily basis? Sure. You can tell when someone’s worried or lacking sleep, etc. I try to tell my clients to get involved and get active. Donate some time, spend time with family and friends, go on a run and explore your parks. Take up paddle boarding. Whatever. But make yourself a routine and stick with it. You’ll feel accomplished and your new “home office” might start looking more and more homey. It’s crucial to get into a routine again. Although this routine will be guided by you, not your bosses. 4. We always see the people who think that people are unemployed simply because they are lazy or irresponsible. Do you think that society plays a major role in the emotional health of the unemployed? Sure. I always like to say, “Who cares” and move on with people that bring you down or have bad things to say about unemployed folks. Karma does come around though and job security is very insecure, so the naysayers might be on the other side of the tables someday. But keep moving and discard the haters. I remember when I was first self-employed, people would ask when I was going to get a job. I had to keep convincing them I was working. Eventually I was out of strength to convince, so I started going along with the jokes. In my mind I knew I was on the right track and I WAS WORKING. It was only a matter of time when those haters see some results. We live in a results- based society and one that asks, “What can you do for me today.” Same goes with those self-employed. This is a good thing. It’s another measure of your success. 5. Many mental health disorders can only be cured by a professional. Do you think that the lack of psychological care for the unemployed could be the major source of mental issues in the unemployed? I think people need to address their issues in any manner they can. I avoided pills, but took dearly to speaking to people close to me about my anxiety and it felt really good to get some of those conversations out. I think people need to research anything they can to help alleviate the stress in their lives and start implementing! 6. Volunteering is proven to help reduce the symptoms of depression; do you think that a certain amount of hours of community service should be required for the unemployed? Absolutely! It feels wonderful helping those who are less fortunate. I always say that there’s always someone worse off out there and this rings true when you’re working with the folks most in need. Strike up some conversation with them. Make THEM feel good. Trust me, you will too afterwards. 7. Unemployment has been a hot topic for many years. Do you think that the government could be doing more to aid the unemployed or should they leave it to the individual to get help? I think that the government did a fine job back in 2008 when handling the colossal unemployment claims. They actually extended a lot of folks up to 99 weeks. Now we obviously couldn’t afford to keep doing that, but the government does assist in tremendous ways. I think it should fall of the previous employer. They laid you off and they should be the ones supplying outplacement so you can “get help.” A career coach can be very helpful in understanding your burdens and trying to forge new avenues for you to pursue once you start your job-hunt. 8. Do you think that mental health issues could be a major cause for long-term unemployment? I think it’s a case-by-case scenario. Some people are better at what they do and can provide better skills. Some are better at interviewing. Some have other issues coming to light during this transition because of the “new normal.” Everyone is different. So for me to say YES, mental health causes longer unemployment is not accurate. I can tell you that mental health issues definitely weigh the job-hunter down. They wake up burdened and weighted already. That’s why they need to focus on the smaller items, one day at a time, implement and execute. 9. Learning a new skill is fulfilling and exciting. Do you think that certain classes specialized for the unemployed could help end the depression that comes with unemployment? Sure. New changes always spark new feelings of self-involvement. People battling mental health issues need that feeling of placement. That feeling of self-worth. That feeling that they can get excited and passionate again about something, anything! I not only thing it’s very beneficial to tackle a new trade or skill, but it should be apart of your long term game plan if searching for current work matching current skills is not generating results. 10. Certain mental health issues are shadowed with useless drug commercials and ridiculous myths. Do you think that providing the unemployed with the information that they need to combat diseases like depression, or anxiety could potentially reduce the chance of them falling victim to the diseases. Sure. People battling health issues need truth. They need to surround themselves with honesty and sincerity. It’s imperative! I think the more truthful knowledge, the better. To combat the myths, I think they should focus their time on researching data from credible sources like The National Institute of Mental Health (NIMH) or MentalHealth.gov.